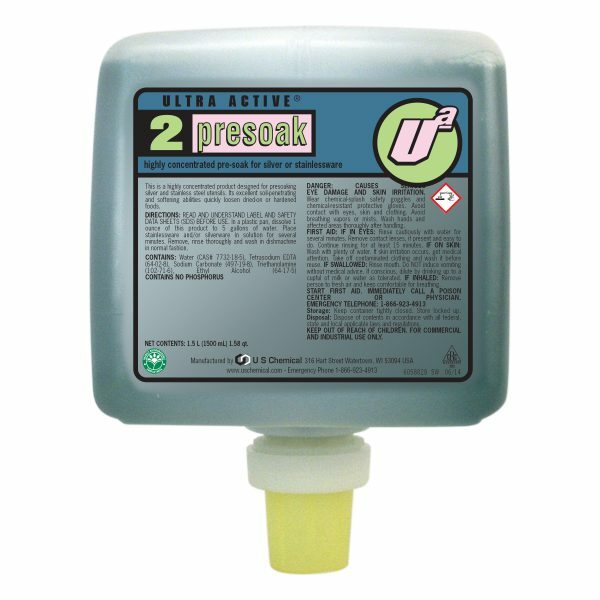 Ultra Active® Presoak is a highly concentrated presoak for silver and stainless flatware. Presoak is a specially formulated compound with unique formula to remove tough soils from flatware. It pentrates soils quickly and impoves silverware appearance at a low use cost.